Valid for new UK resident customers only. Minimum Deposit and Stake is £30. Deposits made via Skrill, Neteller, PaySafeCard, and Ukash do not qualify. Value of bonus + qualifying bet must be turned over 8x. Qualifying bet must be placed at odds of 1/1 (2.0) or bigger. Acca bets must have one leg of 1/1 (2.0) or bigger to count towards turnover requirements. 200% bonus up to £300 on your first deposit. Wagering Requirements 35x the BONUS + DEPOSIT amount. The max amount of bonus a player can receive is £300. Bonus offer must be accepted within 72 hours. 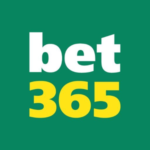 Winner Promo Code – Matched First Bet Bonus Up To £200! 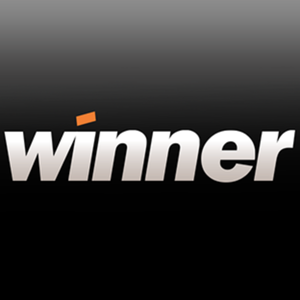 Winner is relatively new on the betting scene in the UK, only launching in 2016. Sign-up for an account with Winner and you can get up to £200 as a welcome bonus. No Winner promo code is required. That matched bet bonus isn’t all, because Winner has welcome offers for Casino and Bingo too. No Winner promo codes are needed for any of the aforementioned promotions and to find out more about this betting site just keep on reading! Very tempting £200 sportsbook matched bet welcome offer. Winner holds a license issued by the UK Gambling Commission. 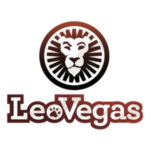 Separate sign up offers for Casino, Bingo and Slots. Transactions protected using the latest Secure Socket Layer (SSL) technology. Regular promotions for existing customers. 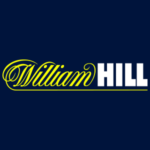 Winner Promo Code – 100% Matched Bet Bonus, up to £200! Register a new account with Winner you can take advantage of a lucrative welcome offer. No Winner promo code is needed to get the first matched bet welcome bonus of up to £200. To get the Winner welcome offer, just sign-up, make a minimum deposit of £30 and Winner will match your first bet up to a maximum bonus of £200. Bets placed using deposits made via Skrill, Neteller, PaySafeCard and Ukash do not qualify for this offer. You can place your qualifying bet on any sports market at odds of 1/1 (2.0) or bigger. Each way, handicap, virtual and ante-post bets don’t qualify. The minimum qualifying bet is £30 and value of the bonus and bet must be turned over 8x before any withdrawal of bonus funds can be made. Therefore, if you get the maximum £200 bonus you will need to turn over £200 + £200 eight times (£3200) before you can withdraw bonus funds. This is quite punchy for a UK online bookie. Bets must be placed at 1/1 (2.0) or bigger to count towards turnover requirements and accas must have one selection of at least 1/1 (2.0). Below is our step by step guide on exactly how to get the Winner sign-up bonus offer. Winner Promo Code: How do I get the Winner Welcome bonus? Open a new Winner account. Place a £30 sports wager at odds of 1/1 (2.0) or bigger. Bonus + Bet amount must be turned over 8x before bonus funds can be withdrawn. Only bets placed at 1/1 (2.0) or bigger count towards wagering requirements. Accas must contain at least one selection at odds of 1/1 (2.0) or bigger. Offer expires on 15 July 2019. What are the Winner Welcome Offer Key Terms and Conditions? Below are some of the key terms and conditions associated with the Winner welcome offer for new customers. Get up to £200 100% matched first bet bonus. Please check Winner for the full list of terms and conditions. Winner Promo Code – Is there a No Deposit Bonus Code? No deposit bonuses used to be widespread in the industry, but not anymore. 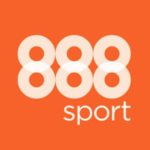 There isn’t a Winner promo code for a No Deposit Bonus as there currently isn’t a No Deposit Bonus at all on the site – either in Sportsbook or Casino. However, Winner is well known for running interesting promotions for existing customers too and you can find out more below. Is there a Winner Promo Code for Existing Customers? You can take advantage of some great promos and bonuses for existing customers. No Winner promo code is required for any of the ongoing Winner promotions. So, What are Winner’s Existing Customer Promotions for Sports Betting? Here is a list of some of the strongest specials on offer from Winner at the time of writing. Money Back Beaten A Head: If your horse selection is beaten by a head or less, you will get your money back as a free bet. Max refund is a £10 free bet and bets placed using money deposited by Skrill, Neteller, PaySafeCard, and Ukash don’t qualify. Free bet must be used on horse racing and within 24 hours. Tennis Acca Bonus: If you place an acca on tennis with 5 legs or more with Winner and one leg lets you down, you’ll get your money back up to £25 as a free bet. If you place a winning tennis acca, Winner will boost your winnings from 5% for a winning double, up to 50% for a winning 12 fold or bigger. US Sports Acca Bonus: If you place a multi on US Sports with 5 or more legs and one leg loses, you will get your stake back as a free bet up to £25. If you manage to place a winning acca, you will be in for a tasty cash bonus. Depending on the number of legs you can get up to 50% extra in cash up to a max bonus of £5000. Keep an eye on the Winner promotions page for new specials. 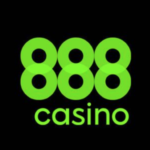 Is There a Winner Promo Code for Online Casino and Bingo? Winner isn’t just a sports betting site, they have casino, bingo and poker products too. No Winner promo code is needed to get the welcome offers for Casino or Bingo. Here are the offers. Winner Casino and Slots: 200% Welcome Bonus Up To £300 No Promo Code Required! New Winner Casino players can get up to £300 in bonus funds with the Winner Welcome Bonus. Just make a minimum deposit of £35, accept the bonus and it will be credited to your account instantly. You do not require a Winner promo code to take advantage of this. Only one bonus will be issued per account and deposits made via Neteller and Skrill do not qualify. The minimum deposit to qualify is £35 and the max achievable bonus is £300. However, wagering requirements must be fulfilled before any withdrawals can be made. Within 30 days you must turn over the value of deposit + bonus 35x. So, if you deposit £50 and got the £100 bonus you would have to wager £150 x 35 (£5250) before you can withdraw any bonus funds or winnings. Some games count more towards turnover requirements than others so please familiarise yourself with this too. How Do I Get The Winner Casino And Slots Bonus? Make a deposit (min £35). Deposits made via Neteller and Skrill do not qualify. The maximum bonus is £300. Value of deposit and bonus combined must be turned over 35x. Wagering requirements must be completed within 30 days. Offer only open to UK Residents aged 18 or older. Winner Bingo: Deposit And Bet £10 To Get £40 No Promo Code Required! Bingo games have exploded in popularity in recent years and Winner have jumped on the bandwagon. If you love bingo then the Winner Bingo welcome bonus is well worth checking out. No Winner promo code is needed to get the Bingo sign-up bonus. Open a new account with Winner Bingo and make a first deposit of £10 and place £10 worth of wagers on any Winner Bingo Game. You will then get a welcome bonus of £20 to use in the Winner Win bingo rooms and £20 to use on Rainbow Riches. Different wagering requirements apply to both bonuses. The Winner Win Bingo bonus must be turned over 4x before any withdrawals can be made. The Rainbow Riches bonus must be wagered 30x. You have 7 days to reach turnover targets or your bonus will be forfeited. Who are Winner And Can You Trust Them? Winner is powered by PT Entertainment Limited. Winner is primarily a sportsbook but they have added Casino, Live Casino, Poker and Bingo suites. What Sports Can I Bet On With Winner? If you do decide to register a brand new account with Winner you will have lots of sports and markets to choose from. Below is a list of some of the key sports you can bet on with Winner. Winner Payment Methods – What are the options for making Deposits and Withdrawals? We always recommend checking out the available payment methods with any prospective bookie. There is no point in opening a new account if you can’t deposit or withdraw funds and we are glad to report that Winner has a nice selection of payment methods available. Visa and Mastercard debit and credit cards are probably the best choices for making your first deposit if you want to avail of the various Winner welcome offers. Deposits made via PayPal also qualify for the sign-up bonuses, but Neteller, Skrill, and Paysafecard deposits do not. You can find out exactly what payment methods are accepted by Winner in the handy table below. 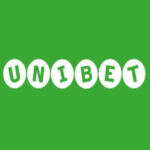 Mobile Betting – Can I Get a Winner Promo Code? Bookies know they need to have quality mobile and web apps if they want to attract and retain new customers. Winner does not have native apps for Android or Apple devices, instead, they have gone down the Web App route. The Winner Web App works across all platforms and while page load times could possibly be quicker, overall we were impressed. The layout is nice and the design closely resembles the desktop site so the Winner Web App feels familiar. We were also delighted to discover that Winner has a promotion aimed at mobile bettors. If you place 20 x £10 bets at odds of 1/1 (2.0) or bigger on racing or in play on Football, Tennis, NFL, NBA, MLB, NHL, Snooker or Darts on the Winner Web App, you will get a £10 free bet. You don’t need a Winner promo code for this bespoke mobile betting promotion. The max bonus that can be earned in a month is £200 in free bets and free bets must be used on selections with odds of between 1/1 (2.0) and 10/1 (11.0). Not many bookies have mobile-focused promotions so if you like to bet on the move, sign-up with Winner and use their wonderful Web App now! 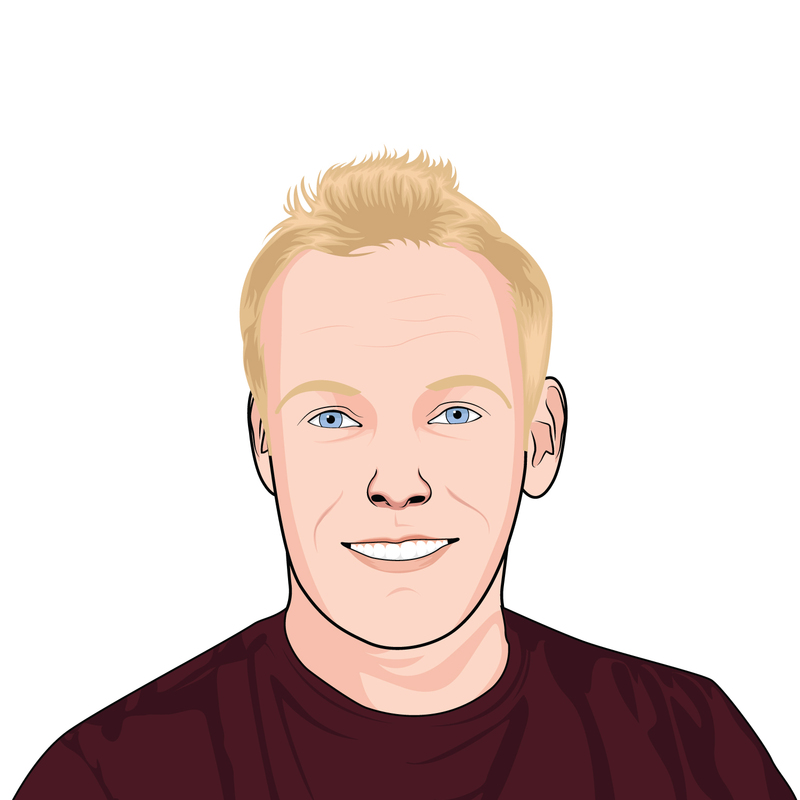 Customer Support – Help with your Winner Promo Code when you need it! There are a number of avenues through which you can get in touch with the Customer Care team should you have an issue with your Winner promo code or your account. Winner does not have a live chat option and the only contact details listed on their site are for email and phone. Customer care hours are from 6am to midnight daily. They do have a great FAQ section that could hold the answer to any question you might have. If you need to get in touch with Winner you will find their contact details below. 1. FAQs: Answers to some commonly asked questions. 2. Live Chat – No Live Chat option available. 4. Phone – 0800 1203 498 from 6am to midnight 7 days a week. 5. Post – PO Box 45, Post office Mladost 1784, Sofia, Bulgaria. 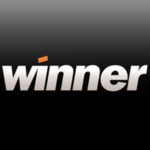 Winner Promo Code – Sign Up Now For Some Superb Sportsbook Specials! Winner has made a big splash in a short space of time. 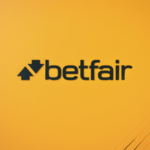 They have one of the juicier welcome bonuses around which sees you get up to £200 matched against your first bet, whilst no Winner Promo Code is required for that, or any other Winner promotions. With tasty bonus offers for Winner Casino/Slots and Winner Bingo too, no matter what you are into you will find something you like at Winner. Their mobile loyalty offer helps the Winner Web App stand out from the crowd, and if you are looking for a new bookie Winner could be the one for you! Do I Need a Winner Promo Code for their sportsbook sign-up offer? If you decide to open an account with Winner you should check out their welcome bonus. No Winner promo code is needed to get their sportsbook sign-up offer. Winner will match your first bet (min £35) up to a maximum bonus of £200. Wagering and turnover requirements and staking restrictions apply, please check the Winner terms and conditions for full details. Is there a Winner Promo Code for Mobile Customers? Although Winner does have a brilliant bonus offer available to mobile customers only, no Winner promo code is required. All you need to do is place 20 £10 qualifying bets at odds of 1/1 (2.0) or bigger on the Winner Web App and you will get a free £10 bet. The maximum amount of free bets that can be claimed is £200 per month. Check Winner for full details and terms of this excellent promotion. We are thrilled to report that yes, Winner accepts PayPal as a method for UK customers. Also, unlike a lot of other betting sites, PayPal deposits can be used to claim the Winner Sportsbook, Casino/Slots and Bingo welcome offers. Although deposits made using Neteller, Skrill and Paysafecard do not qualify, if you use PayPal you won’t miss out on any Winner promotions.